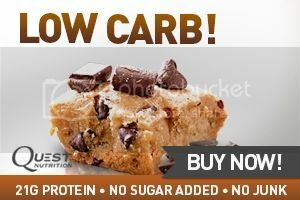 In late 2012, Jimmy Moore was driving around town in his car in Spartanburg, South Carolina and heard an advertisement from a local restaurant in the neighboring town of Greenville boasting of a "Low-Carb Paleo" meal plan service. Naturally, this piqued his curiosity since that's the core message of what we share here at this podcast. So he contacted Edmund Woo, the owner of Saskatoon Steaks Fish Wild Game Restaurant, to inquire about how he got interested in low-carb and Paleo diets. Edmund said he's a huge fan of CrossFit and through that he learned about and embraced the concepts of Paleo living as espoused by people like Robb Wolf and Mark Sisson. Listen in as Jimmy took this show on the road and went to meet Edmund Woo in person at his beautiful restaurant to talk about his passion for helping people get healthy the low-carb Paleo way, why he decided to start a meal service catering to this way of eating, his personal nutritional coaching of these customers, why he doesn't think a Paleo-only restaurant could possibly survive as a business model and so much more! It's inspiring to see a local restaurant owner trying to influence the customers in his area by educating them on what healthy low-carb Paleo living is all about.